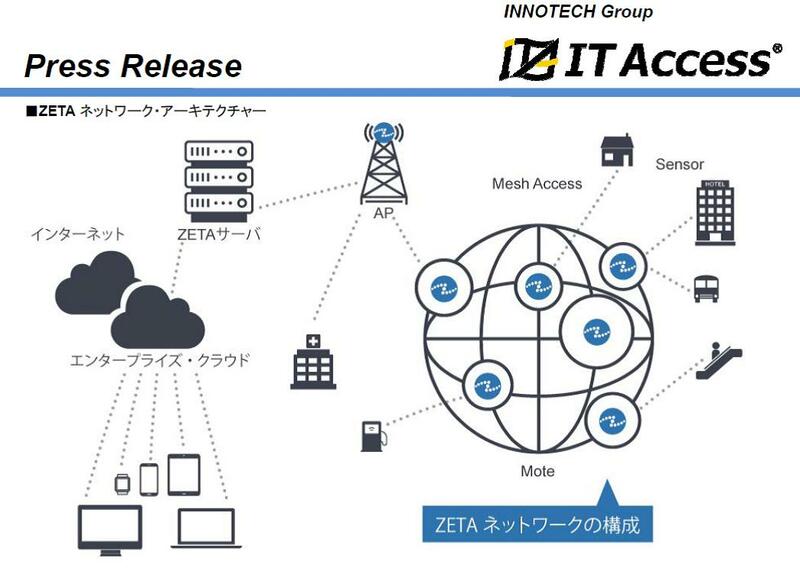 IT Access and QTnet jointly announced that it will provide IoT solutions for agriculture and aquaculture solutions utilizing ZiFiSense’s ZETA network in Kyshu Japan. In a demonstration experiment, sensor information for aquaculture management such as water temperature and water level in the sturgeon fish farm in the mountain area of Shiiba village in Miyazaki prefecture, have been successfully collected in the cloud via ZETA LPWAN. ZETA enables communication over multiple channels by ultra-narrow band. Compared to other LPWA networks. ZETA offers wide distributed access by mesh network, and low power consumption communication in both directions. It is an optimal technology for IoT communication infrastructure. IT Access, as a joint venture between Innotech and ACCESS, develops sales and engineering services for software for various embedded devices (RTOS, middleware) in digital consumer electronics, mobile communications, industrial and OA markets. QTnet is a telecommunications carrier of the Kyushu Electric Power Group.